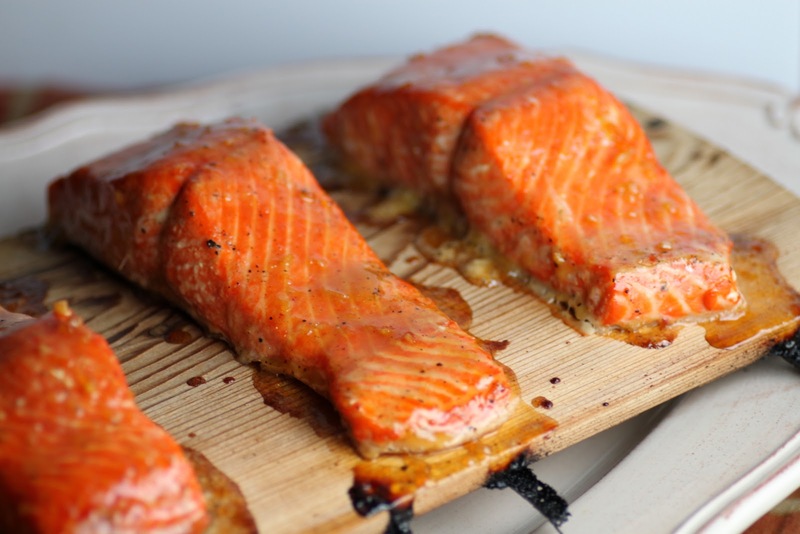 The very best way to fool people into thinking you are an amazing cook… cedar plank salmon. Seriously. It is sublime. All you have to do is buy fresh salmon portions from your grocery store, rub them with olive oil and season liberally with salt and pepper. Place on the cedar plank (available at places like Bed, Bath, and Beyond) that has been submerged in water for at least a half hour, and grill. I serve it with rice pilaf (out of a box) or a salad (out of a bag) or mashed potatoes (out of a packet). It truly doesn’t matter what you serve it with; people will be so impressed with the fish, they won’t notice the sides. Your family or guests will leave the table thinking you are a genius. It is a fabulous feeling… one that I rarely have the pleasure of feeling. I am not a food blogger, but I do love to eat. And while I’m not the most inventive chef in the world, I do know good food and I truly appreciate it. So with this little admission, I wish you a happy Sunday afternoon and many opportunities to pull the culinary wool over your friends’ eyes.